As I type this blog I am watching CNN news reporting from the Los Angeles Unified School District (LAUSD) about the terrorist threat that forced their schools to close today. Luckily, students were not in session, thus avoiding a massive evacuation across an entire city. But, what if students had been in the classrooms, including Deaf students who use sign language to communicate? Would our school staff and emergency responders been able to evacuate all safely? 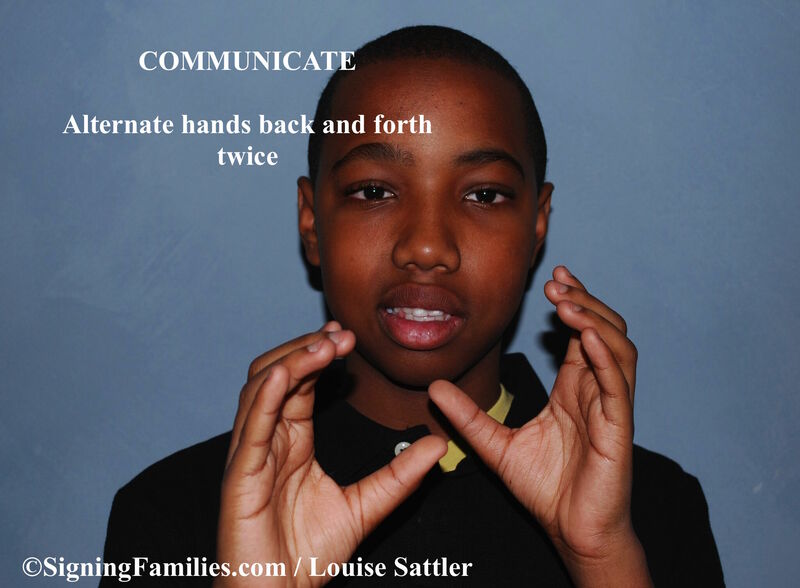 Knowing a few words in sign language can save lives. So, I am asking on behalf of those who are Deaf or use sign as a preferred mode for communication if you would take a few moments to learn a few signs. The video below is a quick intro to sign language terms used for evacuations. The video is not captioned as it was intended for hearing people who do not know sign language. Many of the same words are provided with captions in photos, below. You are welcome to copy the photos in this blog below and share with others. Consider these photos FREE SHARE. Additional emergency vocabulary photos are available on SigningFamilies.com and via videos on my youtube channel. If you are a member of a Fire Department, Police Department or Ambulance Corp. and wish a free Sign Language for Emergency Situations DVD with an emergency communication card (by Signing Families, 2010), please connect by sending an email to INFO >at< Signing Families <dot> com. Please provide details of where you work. This offer is good until January 15, 2016 to the first 25 agencies that connect. Only one per facility, please. Note: Remember that instructional materials and quick courses should not be considered a replacement for a qualified sign language interpreter. For additional information please go to http://www.SigningFamilies.com for resources and much more!